It has been established the world over (if not, then it should be) that Neil Gaiman is one of the most prolific writers that we have, and we must never forget that. In fact, we must cherish what we have every single day and celebrate him by reading more of him, but obviously, day after day. Art Matters is a collection of his short essays (all previously published individually and collectively in The View from the Cheap Seats) about art, reading, libraries, and why all of it is so important even more so in today’s time and age. I love what Gaiman writes, and even though I’d read these pieces earlier, with Chris Riddell’s illustrations, they seemed different, more invigorating, and captivating to say the least. There is something about the power of the written word, isn’t it? That’s what this book is about primarily – about words, reading, and how the world can be changed, one book at a time. Of course, the piece that stands out for me is Make Good Art, in which Gaiman talks to us about how he started writing books, how to do what you really want to do, push boundaries, and be what you set out to be. Yes, it does sound self-help like and maybe it is, but coming from Gaiman, everything is great and achievable and inspiring. I am not saying this as a fanboy, it’s just that this book really inspires you to step out and make good art. And not to forget that the Make Good Art piece has come from his commencement address at Philadelphia’s University of the Arts in May 2012, which I am linking below. The illustrations by Chris Riddell are as usual stupendous and go hand in glove with Gaiman’s prose. Though, I would love to see how this book comes alive in colour as well. Maybe, even a graphic version of these four pieces and more. Make Good Art just makes you want to go out there and create. Be it anything. A sentence even, or just those two hundred words you’ve been telling yourself you will write, or the composition you are stuck at, or when you feel that you just cannot create anything, this book will at least inspire if nothing else. Read this. Read it again like me, if you have already read them. The illustrations and the reminding of what great art can do is absolutely worth the experience. This entry was posted in 2018 Literary Reads Project, 2018 Reads, Books, essays, Hachette Book Group, Hachette UK, Headline Publishing Group, Literary Non-Fiction, Literary Reads 2018, Neil Gaiman, Nonfiction, October 2018 Reads and tagged 2018 Reads, Art Matters, Books, Chris Riddell, Essay, Illustrated, Libraries, Literary Nonfiction, literary reads, neil gaiman, nonfiction, October 2018 Reads, reading, Writers on October 3, 2018 by thehungryreader. Books about books and more books about books. That is almost four times that I have used books in a sentence and it only feels less. The joy of reading yet another book about books, collectors, book lovers, book stores and more only feels more exhilarating as an experience. As though, nothing compares to it or everything is pale in comparison. There are so many stories booklovers share – from where they bought a particular book to what they loved or did not love at all. It is almost an ocean ready to unravel its mysteries and what lies within. The treasury of books, a different world which readers inhabit and do not ever want to come out of. 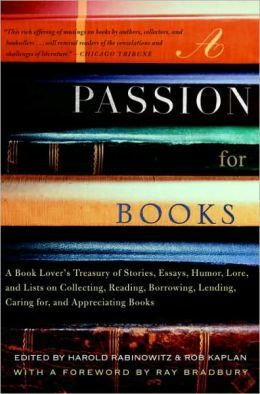 “A Passion for Books” is a treat for book lovers. It is a compilation of essays of various authors, edited by Harold Rabinowitz and Rob Kaplan. The editing has been done to the tee with the right amount of precision needed for a book like this. The book can be read from anywhere and that to me is definitely one of the plus points of this book. Right from a second-hand bookshop experience, to the top 100 books of the century to Pillow books and what makes them that, everything is here. One cannot forget the contributors – from John Updike to Umberto Eco to Milton to Anna Quindlen – all of these and more talk of their book passions and why books are so important to them. More so, the introduction is by Ray Bradbury, which is a bonus in so many ways. I can go back to rereading this book anytime. The beauty, like I said, lies in starting from any page and perhaps only reading an essay or two and yet it feels so fulfilling. Full marks to the editors for compiling this wondrous book of book love and essays on reading. Also, don’t miss out on the book quotes at the end of every chapter. They also add to the charm. This entry was posted in Authors, Bibliophile, Books, Review and tagged A Passion for Books, Bibliophiles, Book Collection, Books, Books on Books, Libraries, Lists, Rare Books, reading on March 17, 2014 by thehungryreader. Books can do many things – they can make you disappear in a world of their own, they can enchant the pants off you, they can make you forget what time it is, and at the same time make you realize the workings of the world. Books have that effect on most readers and also on authors. 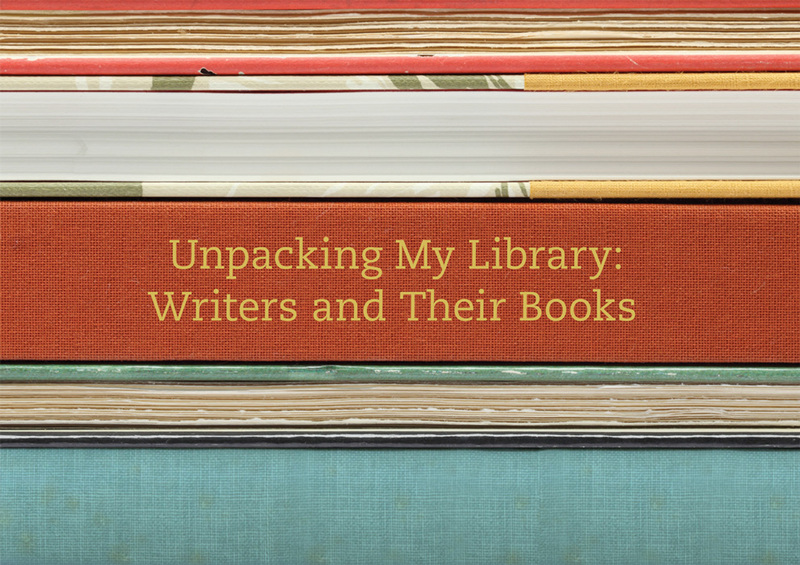 Keeping this in mind, Leah Price has edited a brilliant book for bibliophiles, titled, “Unpacking My Library: Writers and Their Books”. The title is self-explanatory and the book is a great watch. The reason I say a great watch is because Leah Price and her team have managed to capture thirteen writers’ libraries, up close and personal and let me tell you it is a visual treat. The writers are not only in conversation with Leah but also have had no qualms in sharing what their libraries look like. I loved the lineup of writers that contributed to this book: From Jonathan Lethem to Edmund White to Sophie Gee to Junot Diaz, the stories are well-shared. Each writer also shares with readers his/her Top 10 books. As a book lover, it was a great feeling reading what writers think about the advent of e-books, when they first started buying books and what does reading mean to them. For instance, this is what Junot Diaz has to say about reading, quoting from Toni Morrison’s Beloved, “She is a friend of mine. She gather me, man. The pieces I am, she gather them and give them back to me in all the right order”. This is one of the most beautiful ways in which I have read books being described. Leah Price knows how to compile a book about books. The questions in the interview were perfect, ranging from how the writers shelve their books to how did they come about the list of top 10 recommendations to what will happen to their books when they die (a bit morbid though). I recommend this book to every bibliophile. It would be a great addition to their library and also a great reference to what should be read next. This entry was posted in Books, Non-Fiction, Review, Yale University Press and tagged Books, Leah Price, Libraries, reading, Unpacking My Library, Writers, Yale University Press on January 3, 2012 by thehungryreader.